Page of "HOLY CRAP! We’ve crossed the finish line! YAY!! :D". We made it to the end, folks! 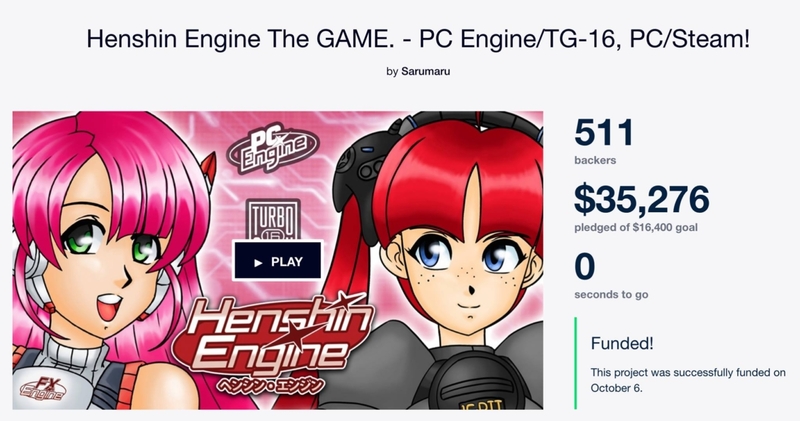 And not only did we make our initial funding goal, but we made enough to fund some extras as well! We can’t thank you all enough for helping us make this dream come true. We will continue our work to bring you the best game our team can do! We will be posting the poll in the next coming days to vote on which console we will be making FX-Unit Yuki : The Henshin Engine for after we complete the DC release. so stay tuned! Many updates to soon follow. THANKS!!! « Strike Harbinger/FX-Unit Yuki : The Henshin Engine Collabo!